On November 6-8, WOBIT company participated for the second time in the Warsaw Industry Week, where it presented measuring devices and mobile robots MOBOT AGV. The WObit company during the MODERNLOG 2018 fair in Poznan presented, among others, a family of mobile robots MOBOT®AGV, intended for the automation of internal transport. On February 27 to March 1 at the Fair and Congress Center PTAK Warsaw Expo, in Nadarzyn near Warsaw, the third edition of the Warsaw Pack was held, in which WObit took part. Three intense days will meet, so you can shortly summarize the participation of WObit in the second edition of the Warsaw Industry Week. Thank you, you were there with us. On 6 to 9 June in PoznaĹ?, WObit once again participated in the ITM Poland 2017 trade fair, and took part in the Modernlog logistics and warehousing exhibition. On April 24-28, 2017, the jubilee edition of the Hannover Messe Fair was held. Among the leaders of World Automation for the first time, the company WObit presented its solutions. On 18-20 October 2016, the 21st edition of Eurotool took place in Krakow. The automation and robotics industry represented WObit company. On 7-10 June in PoznaĹ?, the next edition of ITM Poland was held, attended by nearly 1,000 exhibitors among which the company WObit was present. WObit Newsletter - Stay with us today! The WObit newsletter is a monthly knowledge and new pill for active clients. What will you gain by subscribing to our newsletter? You can always get access to our newsletter by visiting the newsletter.wobit.com.pl page. The WObit Newsletter, which is a combi - nation of knowledge and new pill for active clients. We respect your right to privacy and we protect your personal information. Your e-mail will serve us only to inform you about product novelties, events in which we will take part and participate, competitions, social actions in which we will engage, share our technical knowledge and what our company lives from one to the other newsletter. Your message could be considered as spam. The WObit team is made up of specialists with extensive experience and expertise in areas such as measurement, drive and control, and mechanics. Extremely rich offer of our products, which combines the entire range of sensors from the necessary in the automation of sensors to measure line angle and displacement in various technologies, by force sensors and pressure sensors, proximity sensors, torque or color sensors. In the range of motors we offer brushless constant current motors with power from 1W to 300W, brushless motors up to 1100W, DC motors with gear ratios and 2-, 3- and 5-phase stepping motors and servo motors. The products are complemented by useful plastic and plastic components, HMI panels and LCD displays, as well as linear guideways and ball screws. WObit is a company with a great deal of experience, ready to provide the full spectrum of state-of-the-art automation products. The best way to do this is by using industrial robots. 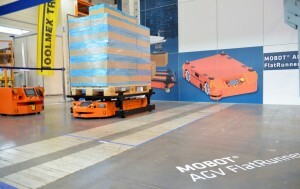 Depending on the application we offer cartesian robots, AGV robots, Tower robots, Desktop robots and SCARA robots. Our goal is to lead the dynamic development, to continually improve the competence and level of service quality. Provide your email address and always stay up to date!